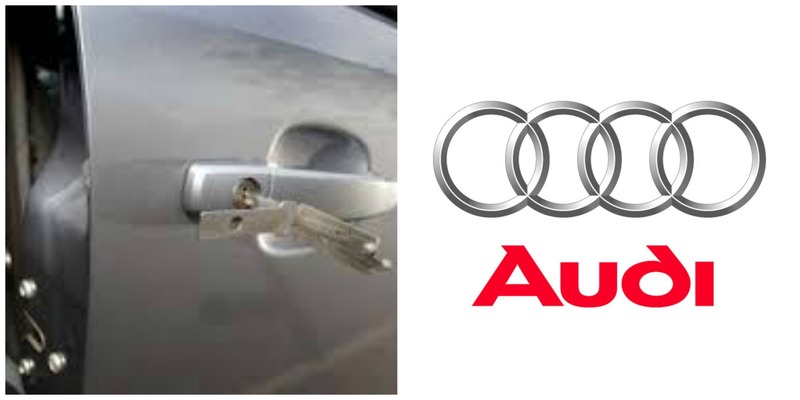 If you have locked your key in the car we can help, we can open any car including Audi, and without any damage. We are specialist car locksmiths and have a range of lock picks that enable us to open your car, so we can recover your keys. Audi car keys have a boot button that just unlocks the boot of the car, so this is very easy to do, open the boot ... put your keys down and then with out thinking shut the boot. Call us we can open your car and get you back on the road. Replacement car key are specialist auto locksmiths, we have a wealth of experience and its our job to gain access to any vehicle, its what we do day in and day out. We use non destructive entry, this means no damage to the vehicle, we do this using special lock picks to manipulate the vehicle door lock and unlock the vehicle in the same way as using the key. Will my recovery company open my car ? Recovery companies are exactly that ... they recover your car in the event of a breakdown, some companies will attempt to gain entry however the methods they use are very likely to cause damage to your car and as most cars deadlock the car will still be locked. Recovery companies are not locksmiths and do not have the experience or specialist equipment, would you ask a greengrocer to service your car ? probably not ... so why would you use a recovery company to do a locksmiths job. Can i pay by card ? Yes of course we accept all major credit and debit cards.